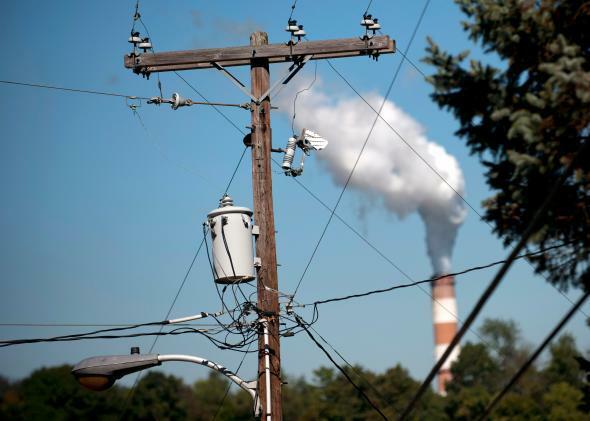 U.S. carbon emissions rise 2 percent in 2013, should be wake-up call for Obama. Energy-related carbon emissions rose 2 percent in 2013 as some utilities switched back from natural gas to coal. One of the great overlooked environmental stories of the past five years has been the remarkable decline in U.S. carbon emissions. Thanks to fracking, natural gas prices nosedived, prompting many utilities to make the switch from dirty coal. At the same time, the economic downturn and some big gains in efficiency kept a lid on the nation’s electricity demand. The result: a 12 percent drop in carbon emissions between 2007 and 2012. That put the United States on pace to surprise everyone by actually meeting its goal of cutting emissions 17 percent by 2020. So, that 12-percent reduction in carbon emissions since 2007? It’s back down to about 10 percent, and suddenly Obama’s goal of 17 percent by 2020 is looking like a steep climb once again. Chait has argued that climate change will end up being the dominant policy theme of Obama’s second term. If he’s right, 2013 could end up as just a blip in a long-term downward trend in U.S. emissions. But the past year’s rebalancing between natural gas and coal should serve as a reminder to policy-makers that, fracking aside, a cleaner, more sustainable economy isn’t just going to come about on its own. One way or another, the U.S. government is going to have to help steer us there—and then set about the task of helping to bring the rest of the world along, starting with a new global climate agreement in 2015. It’s true that America’s contributions to global warming are increasingly being overshadowed by those of China and other fast-developing countries. But the more the United States can get its own house in order, the more standing it will have to finally assume the global leadership role that George W. Bush shamefully abdicated in 2001.